The majority of aspiring small business owners need some kind of outside financial support in order to raise the capital needed to start a business. There are several options for finding the money needed to start a business; acquiring a small business loan is one of these. While it may seem simple and straightforward, delving into the small business loan market can be scary, especially the first time you do it. The best place to start when it comes to finding your first small business loan or credit is not with your banker, accountant or lawyer, but with you. The financial health of the business is dependent on the business owner -- you. This is why your personal credit history is an extremely important aspect in getting a small business loan. The state your personal credit history is in can influence your ability to get a small business loan. In the wake of big corporate bankruptcies, banks are carefully reviewing all lending practices and trying to mitigate the risks. Before you go into a financial institution for a small business loan, know your credit history. Here is a rundown of what you need to check on your personal credit history, and how to make sure you are prepared to address any issues when you submit your small business loan application. 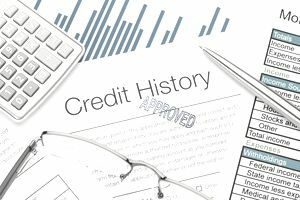 If you haven't checked your credit lately, you will need to get a copy of your personal credit history report from the three credit companies: Equifax, Experian and TransUnion. You can also order a triplicate report from one of the companies. You have the option to order by phone, mail or online. Once you have a copy of your credit history, check it for missing data, mistakes and omissions. For example, you may have canceled a $2,000 credit card limit years ago, but it may still show up on your file. The bank will view this as available credit and limit or reject your small business loan. Close out all inactive accounts before you apply for a small business loan. If your credit history shows any late payments, you will face a difficult time getting a lender to give you a loan. Make sure you know why a late payment is on your report, so you can offer your bank a reasonable explanation to head off any concerns. Getting a small business loan isn't and a quick and easy process. You need to know your business and your own personal financial situation. Remember, the first step to getting a small business loan is to have a clean personal credit history so start on that today.